Years running: Since I could walk! Competitively since middle school, so that would make nine years. Why do you run? My favorite thing about running is going from point ‘A’ to point ‘B’ using my own willpower and strength. For that reason, I believe it’s the equalizer sport. Besides for an investment in shoes, runners are only limited by themselves, and that makes breaking our personal best times and distance goals all the more rewarding. Running accomplishments: Competing at the Duathlon World Championships in Spain is one of my most memorable accomplishments, as well as winning my age group at the 2015 Detroit Marathon in 2:51:07 and running a sub-10:00 two mile. 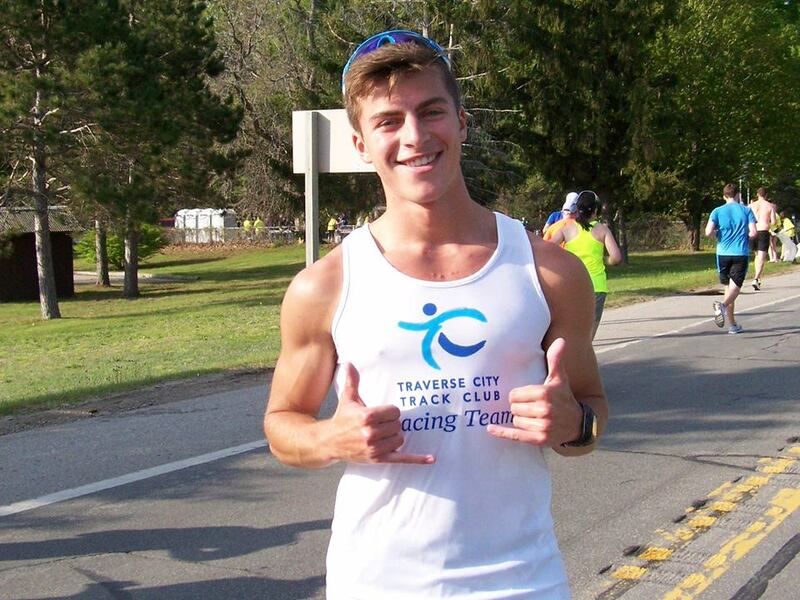 Favorite races: Vineyard to Bay 25k, Farmland 5k, and the Cherry Festival 15k / Cherry Mile. Running hero: My father Duane, to whom I owe my involvement in running. He continues to be passionate about the sport that he loves and it’s inspiring and encouraging to compete alongside him. He always gives his all in every race. I’m also very proud of my mother Vicki for her efforts in running these past two years. It’s great to have a supportive family. Favorite pre-race meal: Quaker oatmeal with peanut butter, and toast. It’s taboo to change the pre-race routine. Best running advice given to me: “The hay is in the barn” – Ross Deye. When you have done all you can to train for a race it’s time to be calm and let greatness happen. In this way, you know that the nervous energy you feel before the gun goes off is just raw adrenaline in disguise. How do you feel about representing the TCTC by being a TCTC Race Team Member? Every member of the TCTC contributes to foster a positive running environment around our town by always finding joy in running, and by sharing it with others. I’ve been proud to be a part of this community and am blessed to continue to be a part of it as a Race Team member for the 2018 year.